Training outstanding radiologists, providing excellent patient-centered care and conducting research to better our field. 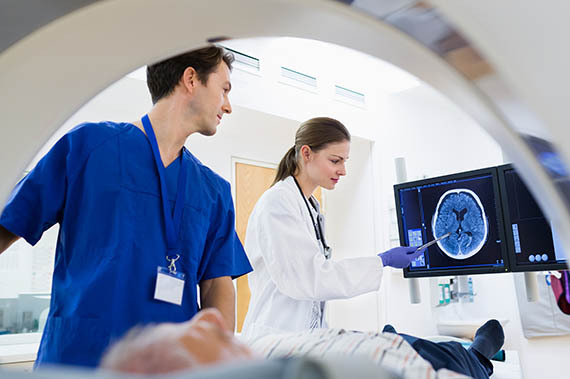 As a tight-knit program with the large patient referral base and resources of a quaternary-care medical center, our residency offers four trainees per residency year the opportunity to prepare for careers as radiologists. 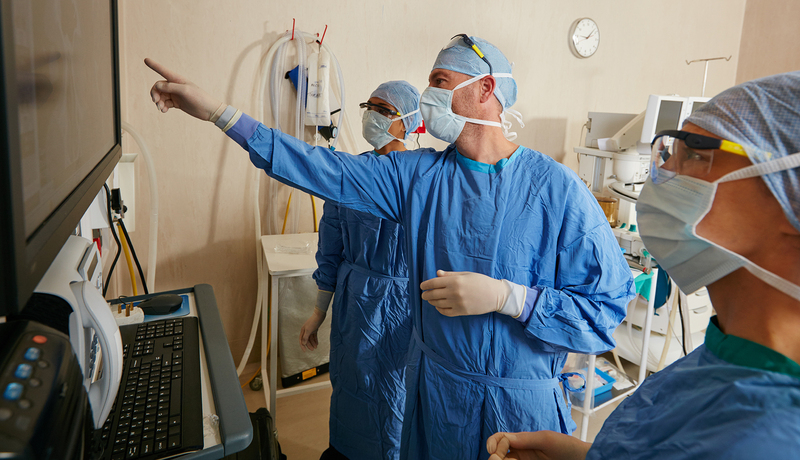 Work directly with attending faculty using state-of-the-art technology, become proficient in both procedural and interpretive skills and conduct research with faculty mentors. We train only residents at our teaching hospitals, which allows trainees to take on responsibilities that might otherwise fall to fellows. Our graduates are well-prepared to provide patient care in radiology or secure excellent fellowship training opportunities. Pursue advanced subspecialty training in our Breast Imaging Fellowship to better diagnose and treat patients with breast cancer. 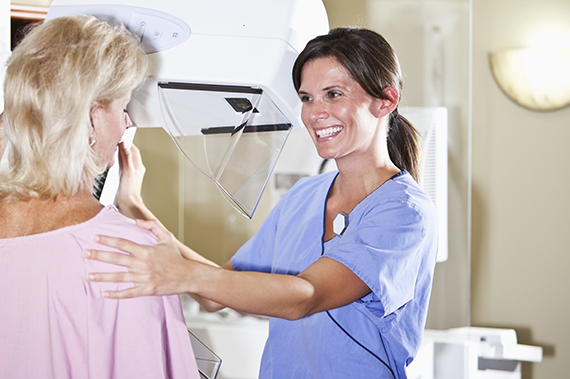 Engage in interventional and diagnostic procedures using cutting-edge technology at the nationally accredited Sentara Leigh Hospital Comprehensive Breast Center in this one-year program. Our residents collaborate with faculty to conduct research, publish and present at national meetings.